Hi Everyone! 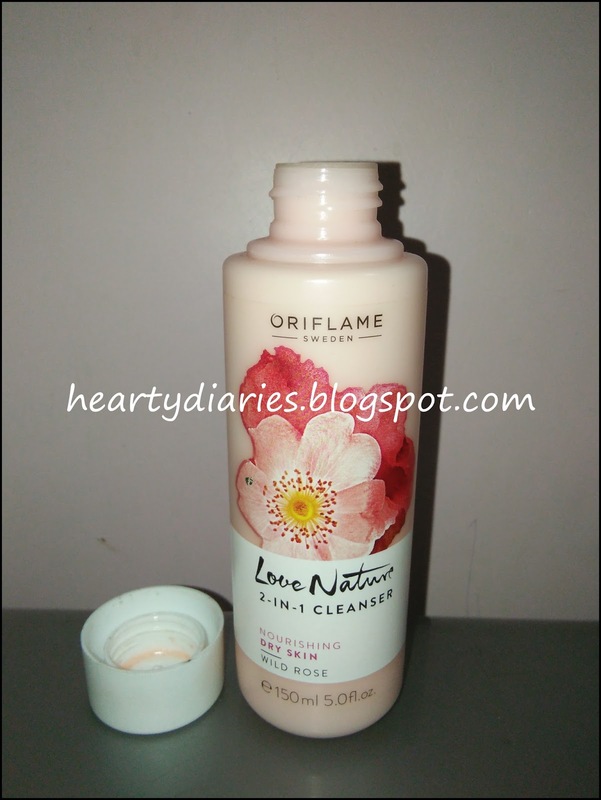 Today I am sharing my review about Oriflame Sweden Love Nature 2-in-1 Cleanser Wild Rose for Dry Skin with you all.. 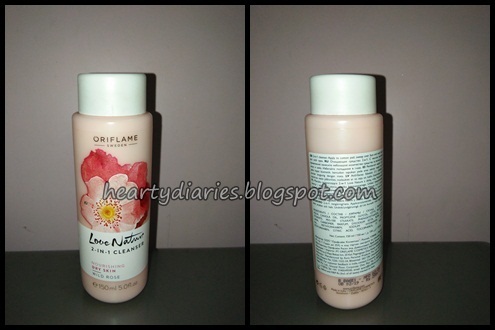 Although I have oily skin, it tends to get little dry in winters due to which I bought the variant Wild Rose. Product Description and Claim: A 2 in 1 facial cleanser formulated with nourishing Wild Rose Oil extract to effectively cleanse skin and remove make-up without over drying, leaving it nourished, supple and soft afterwards. The product is dermatologically tested and it is also directed to avoid product contact with eyes. The company claims that the product keeps the skin moisturized for around 7-8 hours. 1. Apply desired product to cotton pad. 2. Sweep the pad over face and neck. Packaging: It comes in a six inch sized baby pink coloured plastic bottle with a white cap. 7. Keeps dry skin nourished. Will I buy it again? Yes I would love to buy this product again as this is probably one of the best cleansers I have used till date in this amount. It really leaves my skin nourished after removing make up. I would definitely go and grab another one, once I finish off this bottle. Is the price worth it? Yes! In this price, the product works pretty well and has enough amount too. Final thoughts: It is a product worth trying and has given me satisfactory results. I use it as a moisturizer as well. It has a sweet rosy fragrance and overall works wonders for me. I also apply coin size amount and it is enough to work on my skin. Thus, 150 ml really stays for a long time.